It is good to be back to life drawing after a long hiatus. It is one of the things hubby and I enjoy doing together, and both of us had a great time tonight. Before the break I had started trying out brush and ink life drawings, and I was happy to see that it is coming back to me. I have been experimenting with doing the brush and ink drawings on rice paper. I like it because it forces me to be fast and not linger (if you linger, you will end up with a giant blot of ink). I like the loose gestural effect it has. I definitely do not like the wrinkles but what can you do. I spent the last few minutes capturing some of the fellow artists at the session. 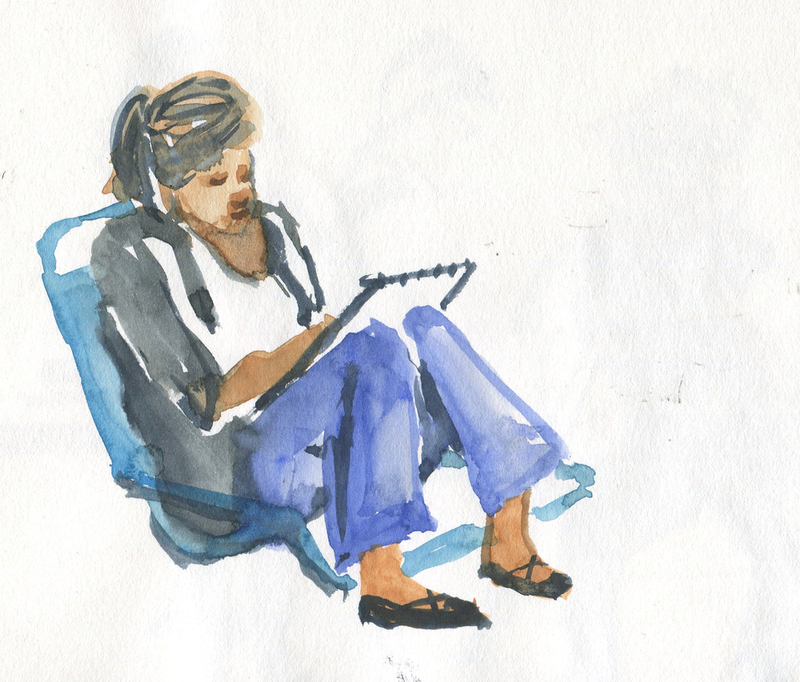 These sketches are done directly in watercolor, along the same lines as yesterday's study at Starbucks.